Born and bred in Wexford, a train ride away from Dublin, John Banville as a child saw the city as a place of enchantment. It was first a birthday treat, the world his beloved, eccentric aunt inhabited. When he came of age and took up residence there, the city was a frequent backdrop for his dissatisfactions as a young writer. When he lived outside Ireland, the city remained alive and indelible in his memory. In a once grand but now dilapidated flat in Upper Mount Street, he wrote and dreamed and hoped. Returning to live in Ireland, he found Dublin to be as fascinating—albeit for different reasons—as it had been to his seven-year-old self. Banville is an award winning Irish novelist and screenwriter. He has penned 16 novels that include The Book of Evidence (1989) and The Sea (2005), which won the Man Booker Prize. 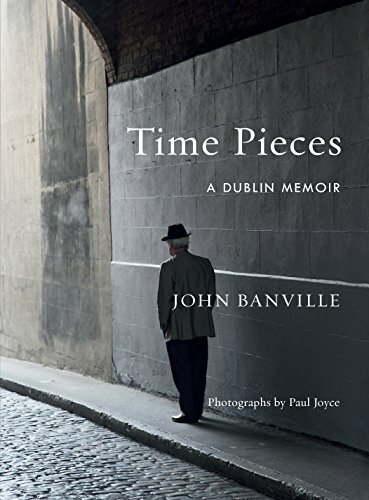 In Time Pieces: A Dublin Memoir, he turns introspective and reflects on his cherished memories of his adopted hometown. In it he alternates between monologues of his own past, and present-day historical explorations of the city. This provides, in many ways, the rhetorical theme of the book that combines memoir and guidebook with social observation. As a result, Banville takes us on a swift journey through his life and Dublin both, providing just enough detail to make it enlightening, but not so much that it gets tedious and dull.